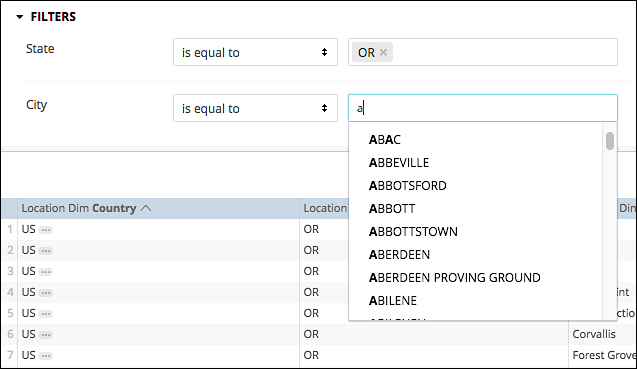 If you’re looking for something really cool, you came to the right place: with Customers Insights, you can link two or more Dashboard filters together. Admittedly, that might not sound all that impressive. But you might change your mind when we show you what we mean. That’s the good news. The bad news? 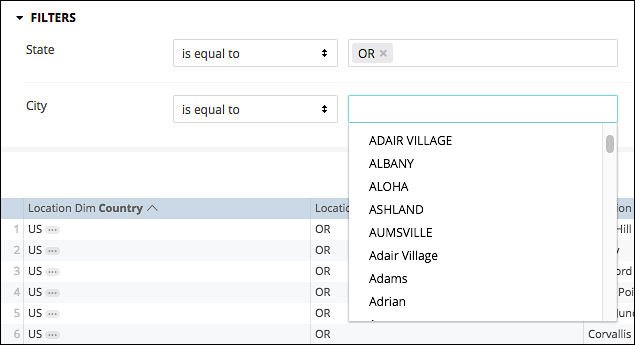 Although you’ve limited the state to Oregon, the dropdown list for the City filter is showing all the cities in your database, including all the cities not in Oregon. That’s less than ideal: if you’re limiting the state to Oregon, you’d probably like to limit the city to cities in Oregon. From the Filters to Update tab, click City and then click Save.